Power Play. 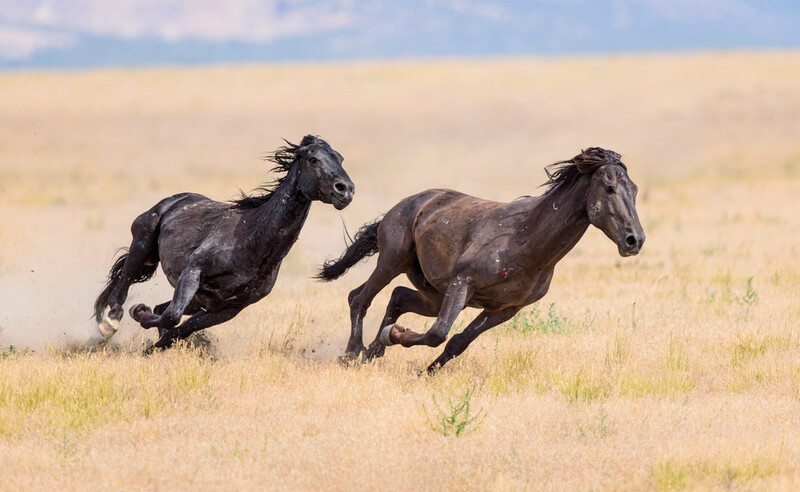 A ritual for these iconic symbols of the West, wild mustang stallions thunder across Utah's West Desert in a challenge for dominance. Notice the fresh battle wound on the shoulder of the lead horse. Freedom does not come free.